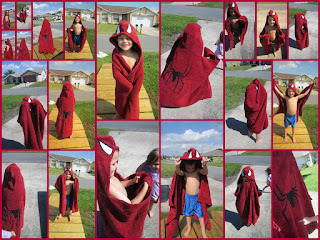 Joshua received a full size hooded spiderman towel from NanaBananasGifts. We have had many character towels before but normally the quality is bad or they are very small and pretty much useless. That was not the case with this towel! Its a very nice heavy duty beach towel, full adult size along with a hood, and "handles" to place hands in, to pull in the sides. Debbie, the owner of NanaBananasGifts makes many other towels too, like hello kitty, bunnies, sharks and more which are priced at only $30. She also has blankets, security blankets, receiving blankets and much more. 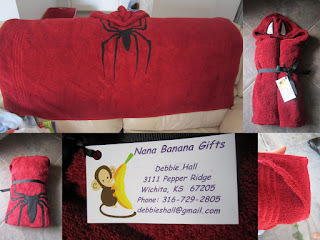 I recommend Debbie's shop NanaBananasGifts if your looking for a one of a kind useful long lasting gift or for your own personal use. Thanks for your wonderful writeup, Casey! 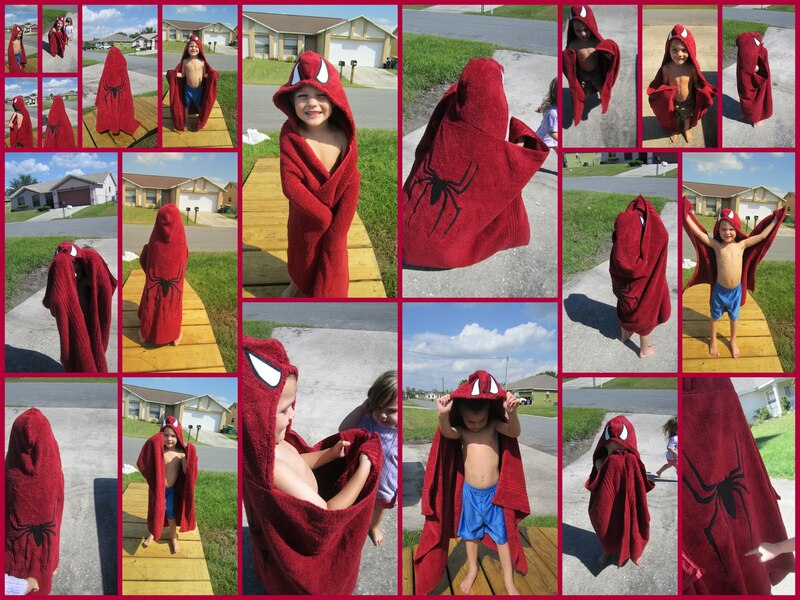 I'm glad you and your son like my hooded towels!